These are hot, summer days and evenings; so what can be better than cooling off with a delicious, intense fruit smoothie which can refresh all our senses.. what if it's super easy to make.. like 5 minutes.. yes! 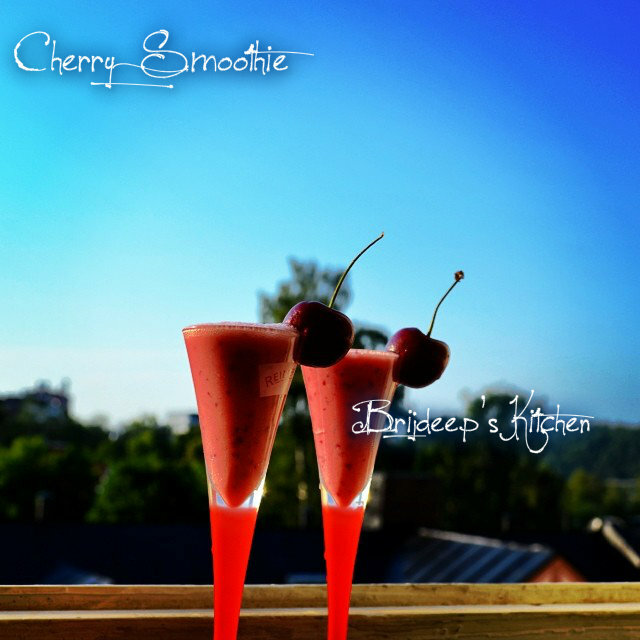 Make this quick smoothie and enjoy the hot evenings !! Wash the cherries and remove the seeds from them. Chop them finely and add to the blender. Add the yogurt and honey to the blender. Blend. Pour in glasses and serve chilled.